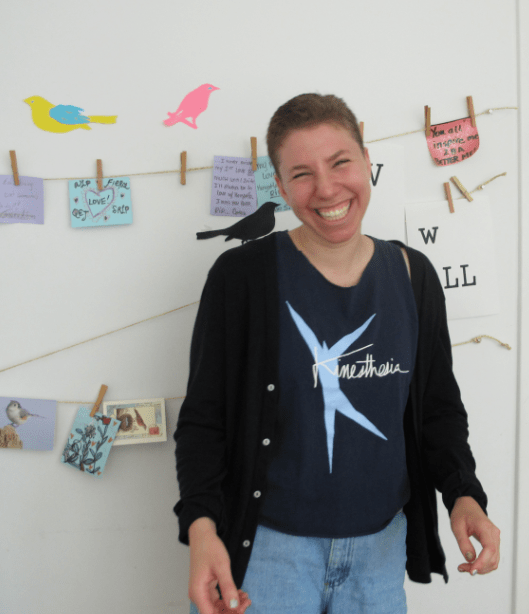 You are here: Home › News › News › Meet Natalia Shevin, SRLP Summer Intern! Read Elephant and Piggie books – an amazing children’s series that can make me laugh more than anything else can. Sauerkraut! I love making it too, it’s so delicious. The Carousel in Central Park, the Gem Room in the Natural History Museum, and getting egg creams in Inwood, where I grew up. Definitely queer and trans and prison abolition politics (that’s why I’m here! ), Palestine solidarity work, and experiencing and teaching empathy through creative movement. There would be lots of dancing; dancing that isn’t about mirrors and competitiveness, but about supporting and pushing each other to grow through movement.